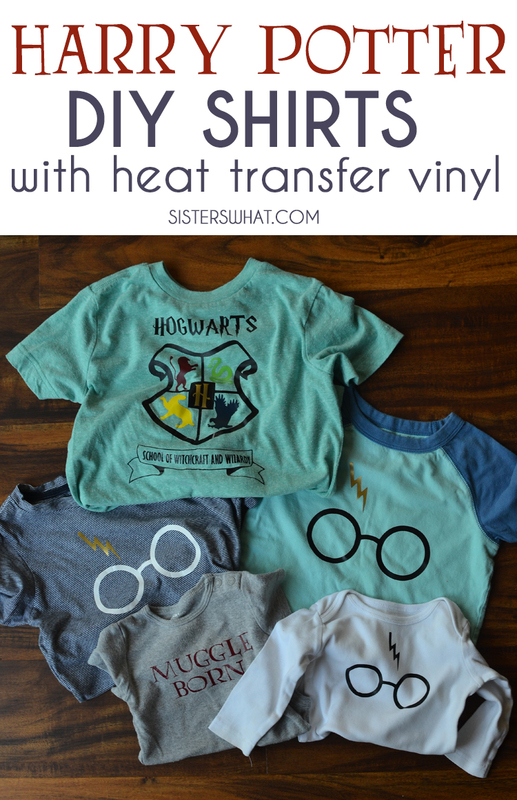 ' DIY Harry Potter shirts using heat transfer vinyl: Hogwarts School, Glasses and Scar, and Muggle born - Sisters, What! 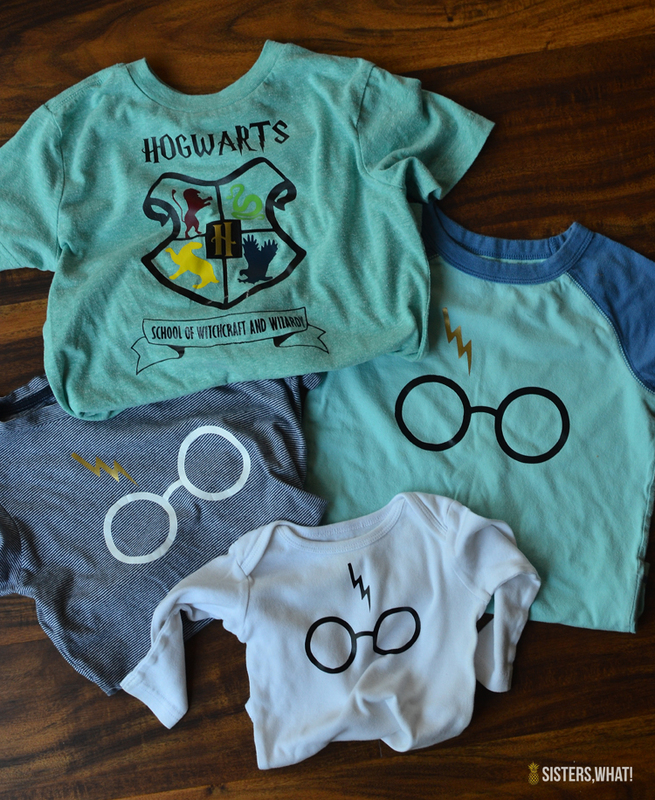 These DIY Harry Potter shirts fun and modern. 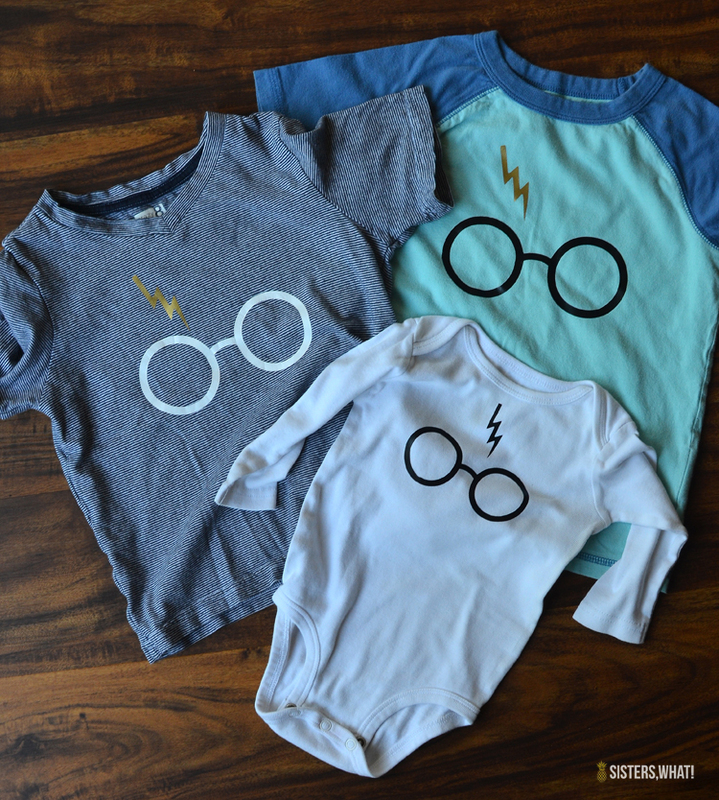 They are easy to make using a silhouette cutting machine and heat transfer vinyl. 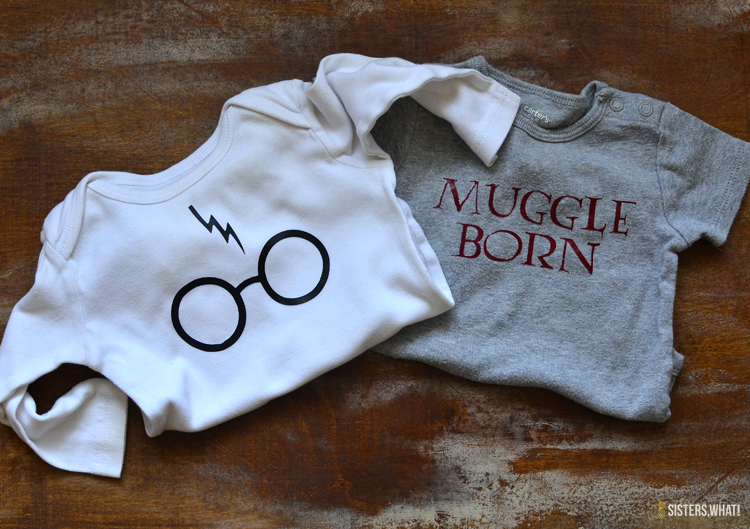 Perfect for everyday wear and to celebrate Harry Potter's Birthday. I wasn't planning on it, but I just had to join in for another day of Rae Guns Ramblings Harry Potter Days. 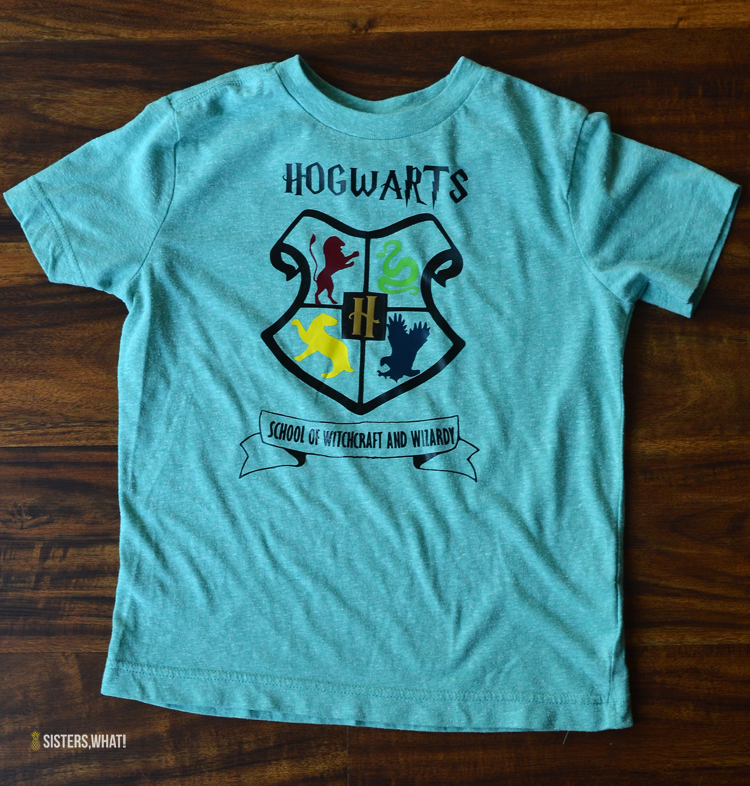 Go HERE to see my Harry Potter Booklist shirt from last week. 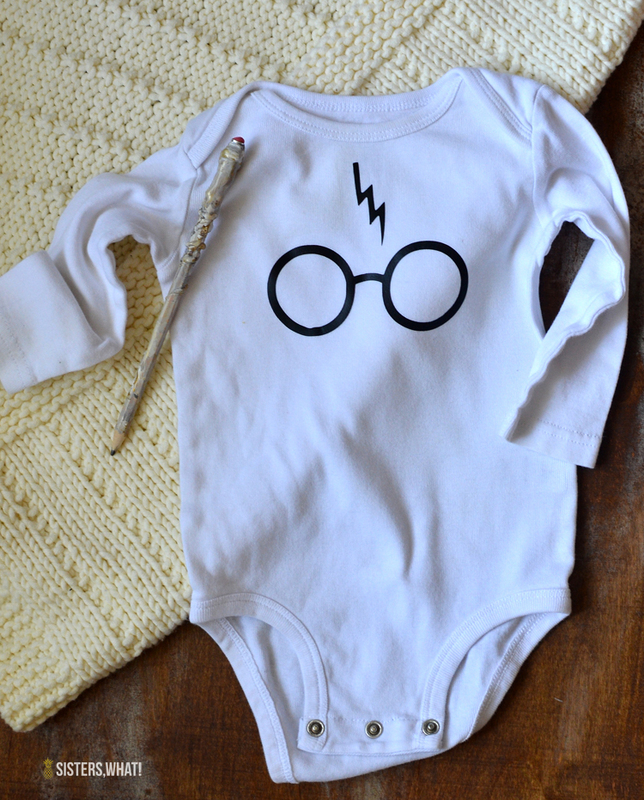 As I was washing the babies clothes, I found that I had quite a few plain white onesies. I figured I could spare one to make a fun little Harry Potter onesie with scars and glasses to go with the muggle born that I made last time I had a baby. 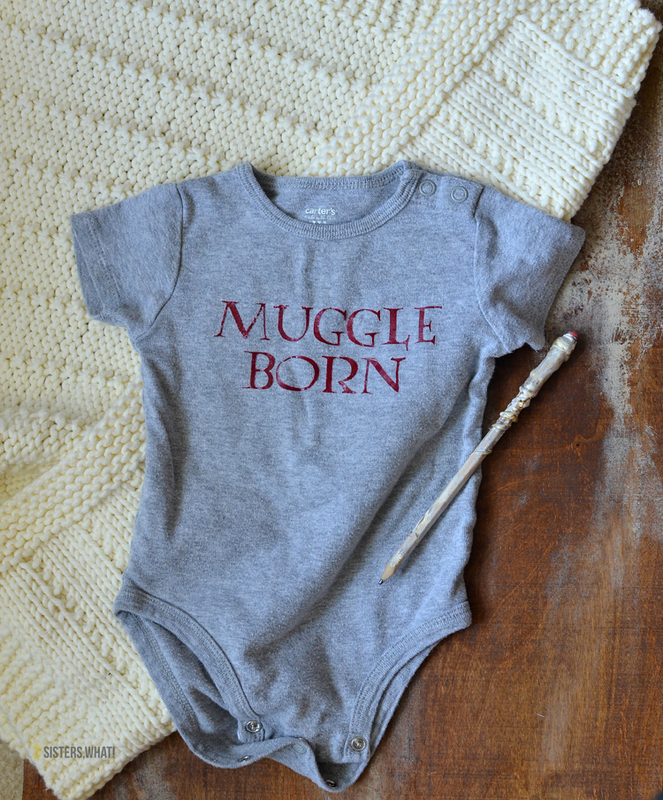 My other kiddos saw the onesie and of course they each wanted one. 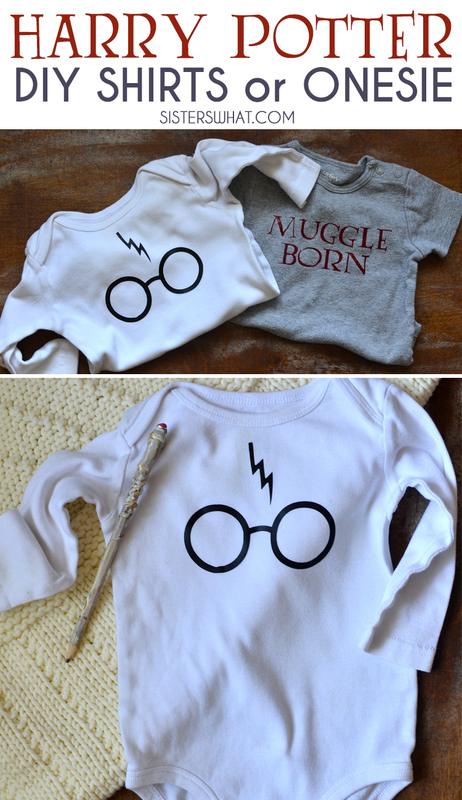 I made two more scar and glasses for the younger two siblings to match the baby. But my oldest wanted something different, so I came up with a Hogwarts School of Witchcraft and Wizardy One. 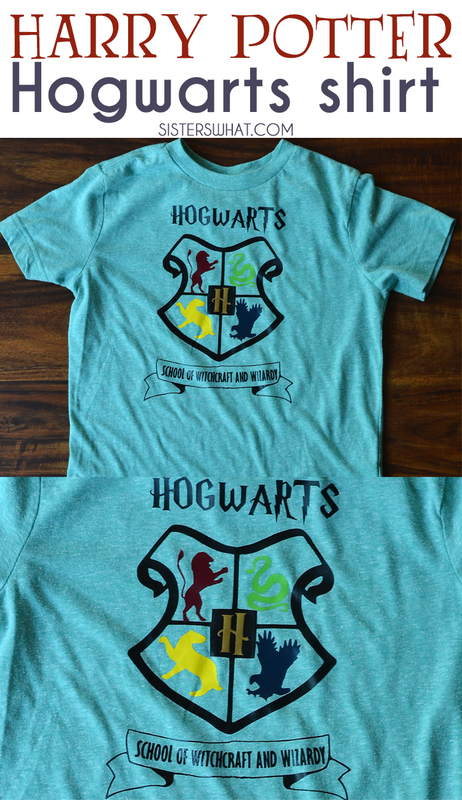 I wasn't planning on doing the different colors for the different houses, but I just happen to have some heat transfer vinyl in those colors so I thought I'd give it a try. I love how it turned out and so does he. 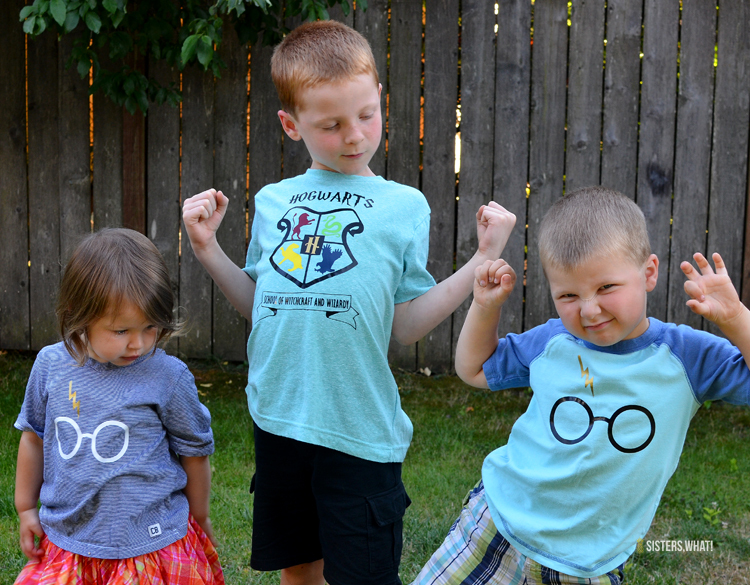 The shirts are perfect to celebrate Harry Potter's Birthday. First make sure the files are mirrored image in Silhouette Studio. Then cut. Iron on per the heat transfer vinyl instructions. 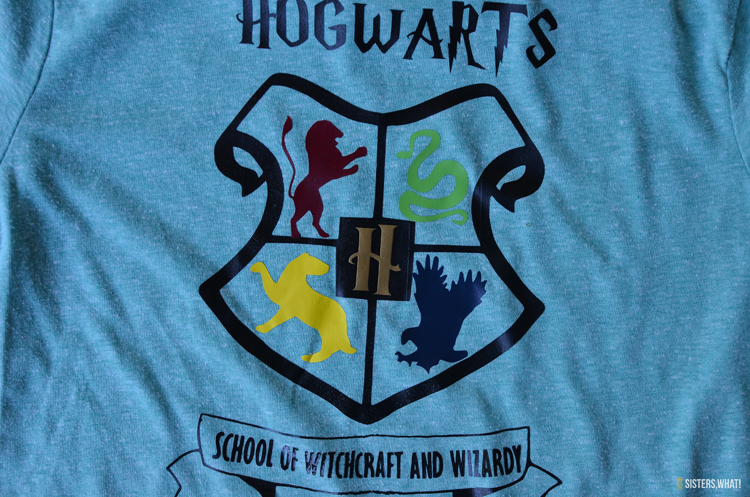 If you are making the Hogwarts shirt using the different colors, remove those animals from image and cut them separately for each color. Make sure to iron the animals on LAST.